Turn left on the roundabout! If the driving school pupil Slavik passes the final exam, he will get the driving license. He is nervous before the ride, so the instructor Topinka is trying to calm him down: he tells him the examiner Houba is a good guy that never let pupils fail. But what will happen if Houba not attends? 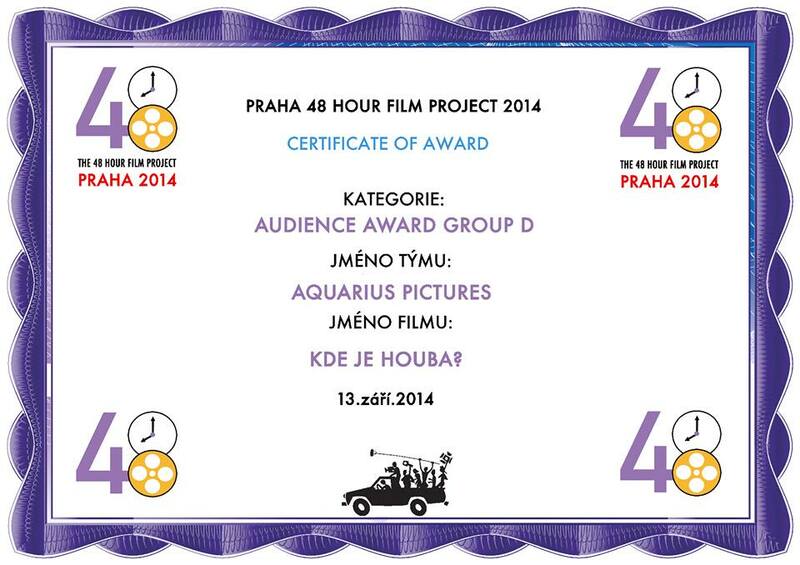 The film was made for the Prague 48 Hour Film Project 2014 and won the Audience Award. The character of world traveler Bartolomew Novosad, the line “Only a genius would think of this” and the prop umbrella had to be placed in the story.